There’s usually at least one band in a lineup of four that’s only so-so, only middling, or simply doesn’t appeal. This makes tonight’s bill unusual, especially given the fact there’s no specific genre theme. The four bands showcasing their wares tonight are pulled together from around the country is probably a factor: despite FURR being a Leeds band and Weekend Recovery having recently relocated to the city (and both having built themselves a bit of a following on a national level), this isn’t a ‘local bands’ gig by any stretch. 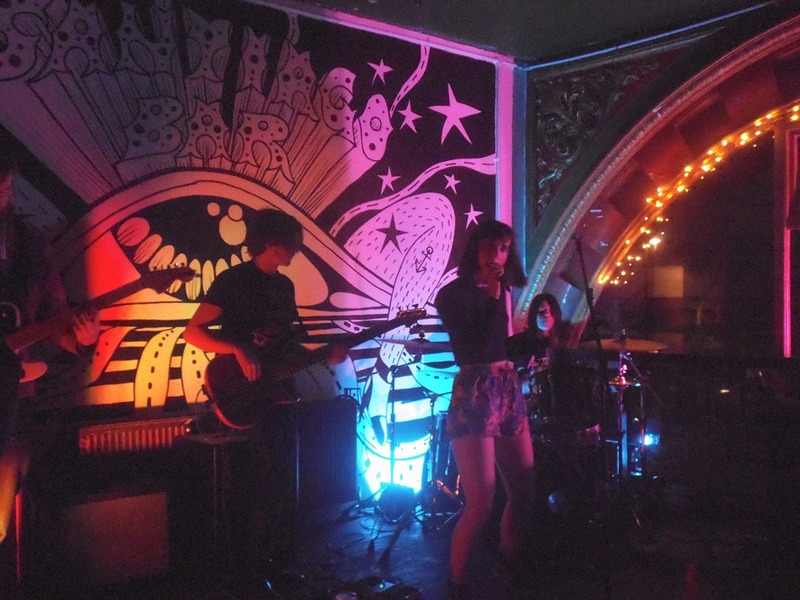 Sheffield four-piece Mollyanna deliver buoyant indie / alternative rock with – dare I say it? – infectious tunes. They have a good energy, but also an emotive, brooding edge, and tinges of darkness creep into the keen vocal melodies. The band’s gutsier, grungier side emerges as the set progresses, as do more cinematic aspects that call to mind Evanescence (only minus the pomp, and therefore better). Tokyo Taboo are an altogether different proposition, and if Mollyanna have good energy, Tokyo Taboo have insane energy. 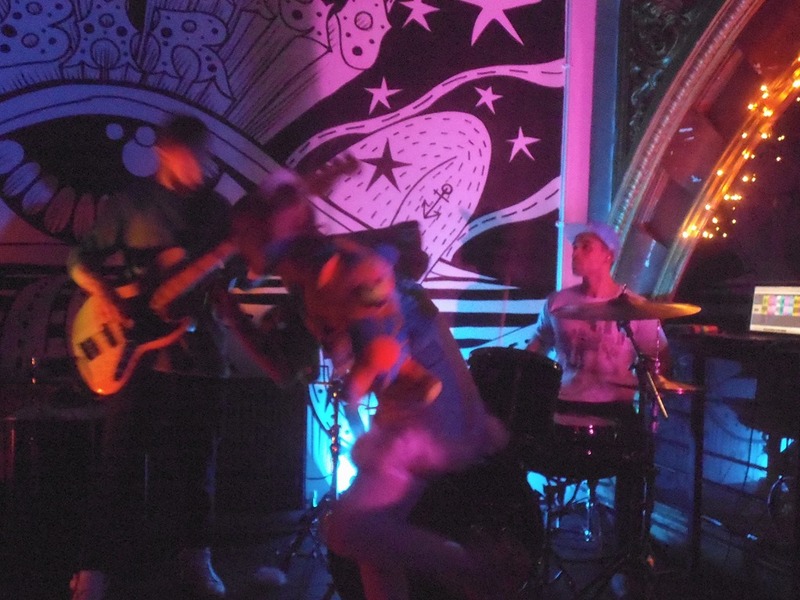 The guitarist – Moöey is wearing a silver hoody and star-jumping, spot-running, high-kicking singer Dolly Daggers has accessorised her minidress with a kind of shrug that’s also a sort of stuffed toy. Or something. But they’re not just visually compelling: their brand of amped-up power pop with a punk edge – and a dash of grunge – hits all the right spots. Joe Scotcher’s basslines keep everything nailed down nicely amidst the frenzy. And they have tunes! In fact, the last song – a slow-burner that finds Dolly sitting in the audience to sing – is one of the best things I’ve hear so far this year. I’m too busy enjoying the set to take many notes and the ones I have are barely legible, and all of my photos are blurry, but then, writing about or taking still photographs of Tokyo Taboo seems vaguely pointless: go and see them for yourself. They really are a cracking live act. And utterly barking. I’ve written a fair bit about Weekend Recovery over the last year or so, and it was a year to the day I first caught them live in Leeds. They’ve come a long way since then, on many levels and not just geographically. 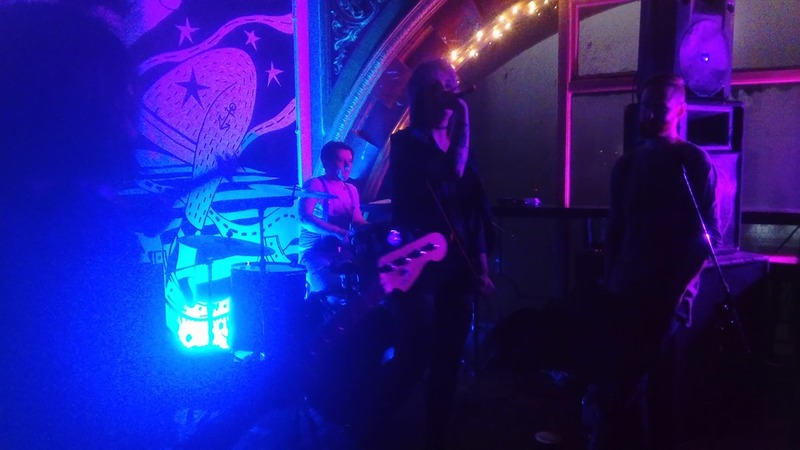 Musically, they’ve evolved, and the songs on their debut album, Get What You Came For – the reason they’re currently touring and are here tonight for their local launch – have a harder, grungier, punkier, and more distinctive sound. Visually, they’re simply looking more like a band. And in terms of performance, they’re more confident and assured, and the time on the road has made them tighter and punchier. Not that older songs like ‘Focus’ and ‘Don’t Try and Stop Me’ sit awkwardly in the set: if anything, they contrast nicely with the more direct and biting newer songs. Lorin pogos around a lot while the guys kick out the riffs, with the album’s title track standing out in particular for its riffines. They wrap their set with a high-octane, full-throttle rendition of ‘Why Don’t You Love Me?’, the squeaky pop of the studio version transformed into a fierce demand that’s both exhilarating and a little bit scary (in a good way). In the event, they prove to be the biggest draw of the night, and receive the warmest reception. And it’s well-deserved. FURR are conspicuous by virtue of being the only all-male band, and not having a female vocalist. 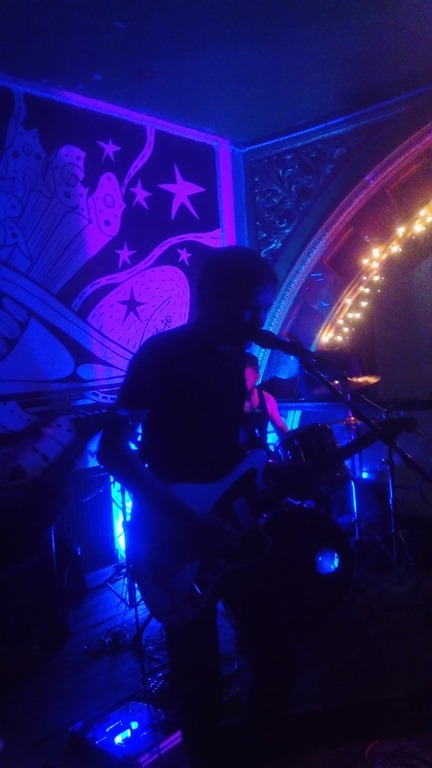 Having recently featured as part of the Leeds-based Come Play With Me singles club, the grungy guitar foursome have been attracting some attention of late. They’re probably too young to have even been born when Kurt Cobain was still alive, but they’ve got the c92 sound – with some keen melodies and clean vocals, they’re perhaps more Bivouac than Nirvana – nailed, as well as the look, only with a contemporary spin (by which I mean they sport plaid shirts, and have a 3:1 beard ratio). There’s no let-up for the duration of their set, as they piledrive their way through the songs. 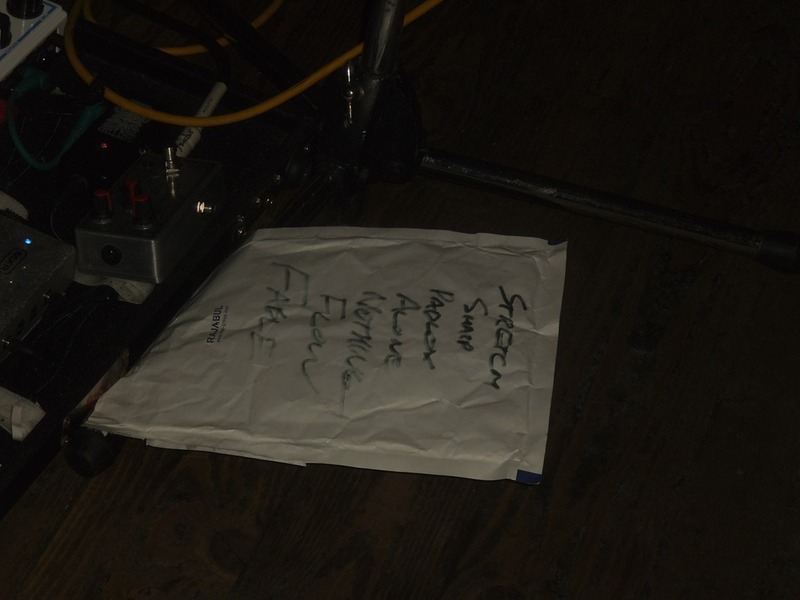 It’s all good, and they close with a ripping rendition of single cut ‘Fable’ (the set list scribbled on a Jiffy bag confirms this). They fumble about a bit and deliberate before playing one more song, and it makes for a slightly disorganised end to proceedings, but who cares? It’s been a good night – better than good, in fact, even great – and one which reminds us precisely why independent music and the venues that support it are so essential. Every band on the bill brought the energy and their A-game, and the experience is an all-out rush. And given the pick of these for bands tonight, or Morrissey at the First Direct Arena the next evening, I’d make the same choice every time.